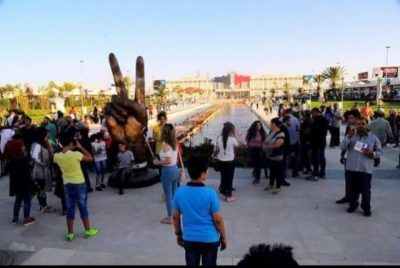 At least four people have been killed and four others injured after militants shelled an international fair in Damascus, a Syrian security forces source told RIA Novosti. The Damascus International Exhibition is taking place from August 17 to 26 in the country’s capital, the first time it has taken place in 6 years after its suspension amid the war in the country. There are official delegations and about 1,300 businessmen from Arab and other countries, the Syrian prime minister told Sputnik earlier. The local source told RIA Novosti that the shelling came from Eastern Ghouta on Damascus’ outskirks controlled by anti-government armed militant groups. “Four people were killed and four others injured when rocket-propelled projectiles fell at the Damascus International Fair,” the source said. The shelling comes amid a ceasefire in Syria. Before the war broke out, the Damascus International Industrial Fair in Syria used to be one of the largest in the Middle East region. The first time it was held was in 1954, and the last time in 2011. Earlier, the director general of the fair said that 43 states, including Russia, are taking part in the fair this year. A total of 70,000 people are expected to visit the fair.